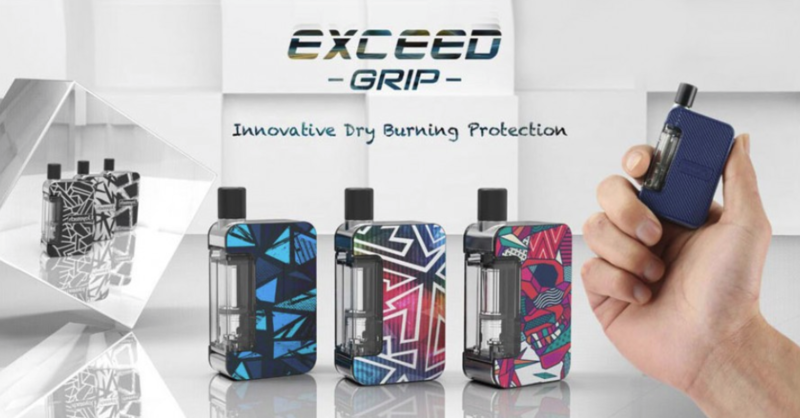 Joyetech Exceed Grip Kit is a smart pod system based on the classic boxy style design with rich textures and colourful IML panels. Powered by a built-in 1000mAh battery, it supports variable voltage output to suit the coil in the cartridge. A highlight of this kit is the innovative DBP(Dry Burn Protection) technology. 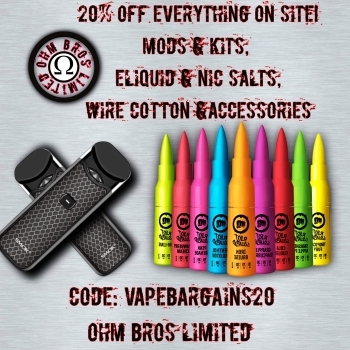 This is a way of sensing when the e-liquid level is low to cut off output and save you burning out your coils. Along one side of the kit, you have an oversized power button on the top. Near the bottom is a battery life indicator light that shows the battery level and the DBP status. The light is red when the device is during charging or the battery level is lower than 20%, conversely, it is white. Also, the light flashes twice before DBP cuts off output to prevent dry-burn hits. Under the light is a USB port meant for charging the built-in battery. Another highlight of the Exceed Grip is it has two kinds of cartridges to choose from. Each set includes a 4.5ml standard cartridge(0.4ohm EX-M coil pre-installed) and a 3.5ml pod cartridge(irreplaceable 0.8ohm mesh coil integrated). Both kinds of cartridges can be removed and mounted from the side, making it more convenient to refill e-juice. 6 colours to choose from.